Instagram: To join or not to join? Yes, my one-year-old is all over Instagram. Yet I am not. I’ve held out for awhile now, mostly because I only recently got a smartphone. But I’m starting to cave to the temptation; the call of novelty beckons. 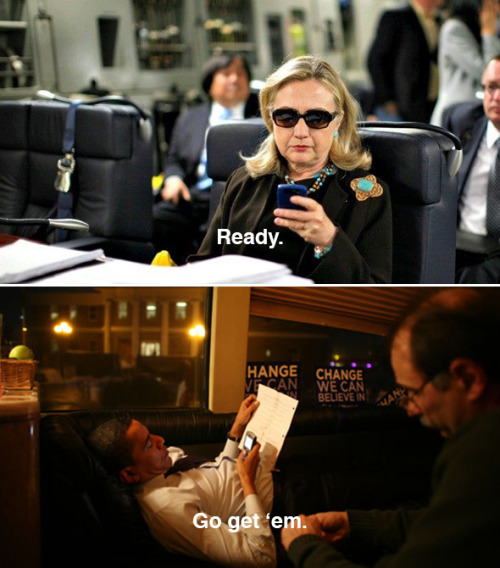 Duty calls, too–as a communications professional I feel obligated to at least give a major social network a try. And Grandma (my mom) calls–she’s all about more baby pics in any medium. Naturally, a silly, first-world problem such as this demands a silly, first-world solution. 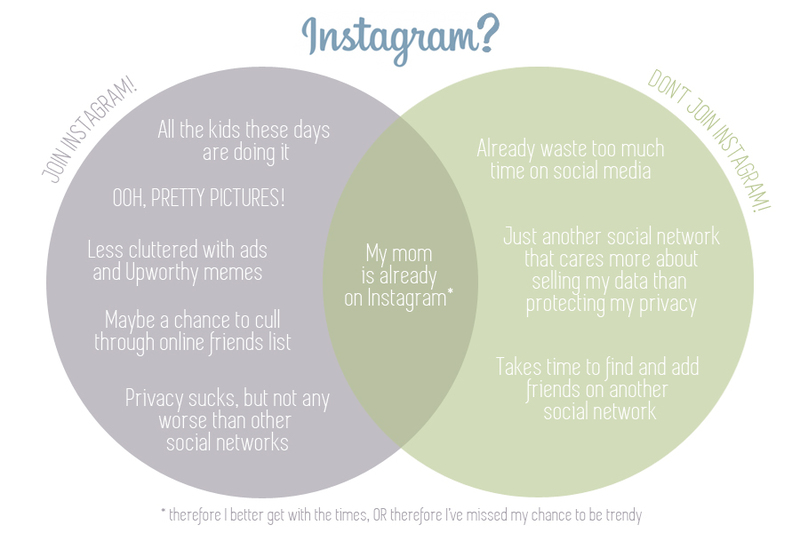 So… I Photoshopped a Venn diagram to analyze the pros and cons of joining Instagram. What say ye, readers? Stick with the status quo, or join my mom, my baby, and the rest of the world on Instagram? What experience have you had on Instagram? Do you constantly debate with yourself whether to stay on Facebook, etc.? P.S. I’m also intrigued by the new network Ello and its manifesto about privacy, and got on the waiting list–anyone out there using that?